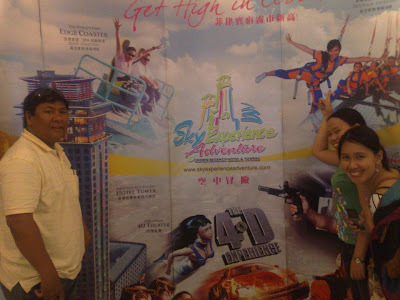 We had great time at Crown Regency Towers for their 4D theater movie and if we wish, we could have tried of their Skywalk or the Edge Coaster where you would be flipped back and forth at 39th floor. The 4D movie experience was cool since the seat is rocked depending on the movie scene with matching air and water effects. The visuals were similar to 3D film but the experience was still unique. So, TWO THUMBS UP for 4D movie.